SACRAMENTO - Martha Evelyn West, 89, of Sacramento, KY died Tuesday, July 17, 2018, at 9:00PM under the care of Hospice of Western Kentucky. Mrs. West was born October 22, 1928, to Katie Woosley Jobe and Edward Jobe in Rumsey, KY. She was preceded in death by her husband Felix Marshall "Pete" West; son Robert Wayne "Bobby" West; and brothers Raymond, Aubrey, Corbie and Allen Jobe. 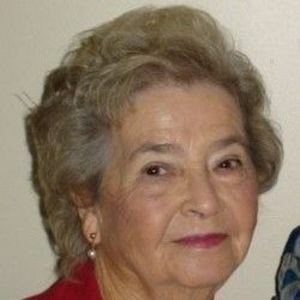 She is survived by 5 children: Marshall Layne West, Roger Dale West, Linda Carol Kirkland (Larry), Connie Sue Egbers (Daniel) , and Jeffrey Lynn West (Shari); a sister, Madeline; 17 grandchildren; 25 great grandchildren; several nieces; brothers-in-law Clayton (Sue) West, and Leslie (Joyce) West; and numerous cousins. Martha was an avid gardener and a loving care tender to her husband, Pete. She worked numerous jobs throughout her life including being a much loved school bus driver for McLean County School System children. She dearly loved her children, loved to cook and have family gatherings. She was a nurturer of the earth and loved it to the fullest. She was a member of Station Baptist Church. Funeral services will be Friday, July 20, 2018, at 12:00 noon at Tucker Memorial Chapel in Sacramento, with Bro. Benton Hoagland officiating. Burial in Sacramento Presbyterian Cemetery. Visitation will be Friday beginning at 11:00AM at the funeral home. Expressions of sympathy may take the form of contributions to The Heartford House. Envelopes will be available at the funeral home. Online condolences may be made at www.tuckerfuneralhomes.com. So sorry to hear your Mom passed away. Her,Mom,LaVon & Janice are now having a good time. No telling what those 4 are getting into. Sorry can't make funeral we're in Florida. I'm so sorry for your loss. Prayers now and in the days to come.